Electrical parts & other small accessory are packaged by plywood cases, the crane beam & end carriages are packaged by plastic materials. 1. MH model single girder gantry crane is matched with CD1/MD1 model wire rope electric hoist, it is a kind of track travelling MID-duty class gantry crane. 2. 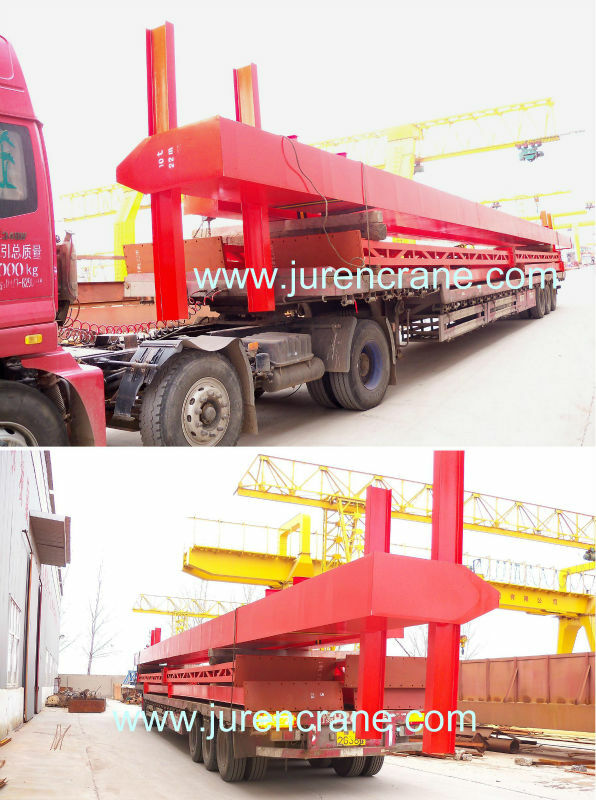 The capacity of this gantry crane from 3ton to 32ton, the span from 6m to 35m, the working temperature within -20-- +40 centigrade. 3. This gantry crane is commonly used gantry crane, it be used in outside yard or warehouse for loading/unloading and moving materials. 4. The control model are pendant pushbutton control, cabin control or remote control for choice. 5. The duty class of this gantry crane is A3(Equal to FEM 1Bm). 2,Low charge for continue maintenance when warranty is expired. 3,Exclusive engineer support at any time. 4,One year warranty for whole machines. 5,We can provide free training to end-users. 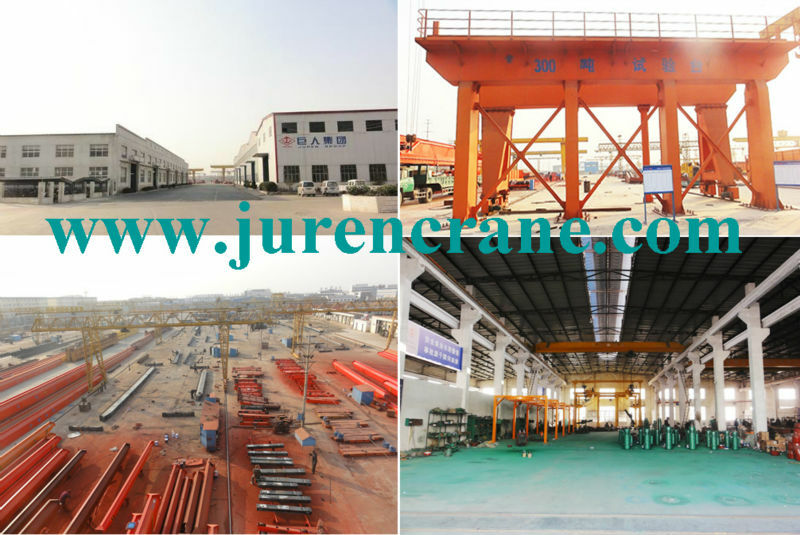 Henan Juren Crane Group Co., predecessor is Henan Juren Crane Co., Ltd, and was established in 1987. 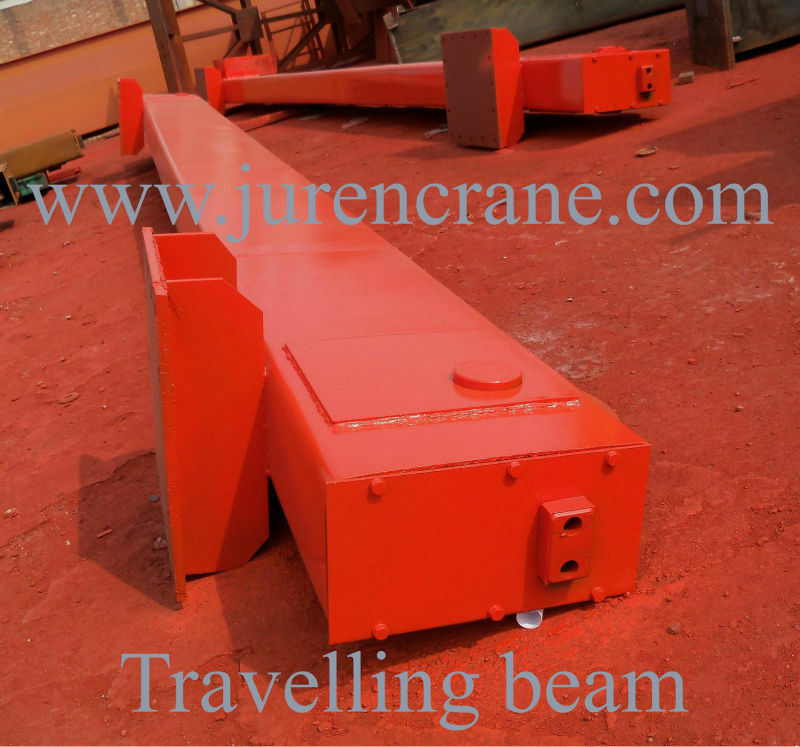 Our company has several subsidiary companies, such as Henan Juren Crane Services Co., Ltd., Henan Juren Advertisement Co., Ltd. and Hexin Machinery & Electronic Co., Ltd. The registered fund of group company is RMB120,000,000, and the fixed assets are RMB200,000,000. We have south district factory, north district factory and new district factory. The conpany occupies 460,000 square meters, and the total employees are more than 1200 persons. Our company has enough experience and technical to manufacture high quality hoists and cranes. Our purpose is "Customer First, Attentively Service". Welcome to visit our factory and choose our products. Industry voltage in your country? Welcome to contact us and visit our factory. 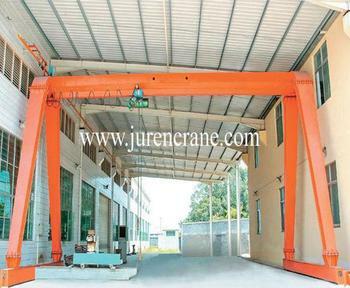 Henan Juren Crane Group Co., Ltd.